Available with three engine options to start with. Hyundai has conducted the world premiere of the 2016 Hyundai Elantra (2016 Hyundai Avante) in South Korea today, where sales will start in the coming weeks. Hyundai has upped the content of AHSS by 32 percent over the previous generation model. Featuring a fresh design inspired by Hyundai's Modern Premium approach, the 2016 Elantra is 20 mm longer and 25 mm wider than its predecessor. However, the headline is that its body structure features 53 percent of Advanced High Strength Steel (AHSS), a marked improvement of 32 percent over the model being sold currently. Inside, Hyundai say that the dashboard has a driver-centric approach with a cockpit display angled 6.9 degrees towards the driver. Hyundai says that it also tasked its engineers in reducing road and wind noise on the sedan, by adding thickened glass, re-designing the wipers, and new rear-wheel guard materials. Hyundai plans to sell 50,000 units of the Elantra this year in Korea. On the feature front, the 2016 Elantra comes with a raft of safety features which include Autonomous Emergency Braking (AEB), High Beam Assist (HBA), Blind Spot Detection (BSD) and Rear Cross Traffic Alert (RCTA). Nifty features come in the form of a memory function for the seat adjustment, smart trunk (the trunk automatically opens when it detects the smart key near a sensor for more than 3 seconds) and a Harman sound system. Hyundai has angled the cockpit 6.9 degrees towards the driver. On the powertrain front, the 2016 Elantra is available with three engine options at the moment. A 1.6-liter GDi delivers 132 PS and 164 Nm of torque, a 2.0-liter MPi is rated for 149 PS and 183 Nm, while a 1.6-liter VGT diesel is good for 136 PS and 306 Nm of torque. Transmission choices include a six-speed manual, six-speed automatic and a seven-speed DCT (dual-clutch transmission), the latter exclusively on the diesel. 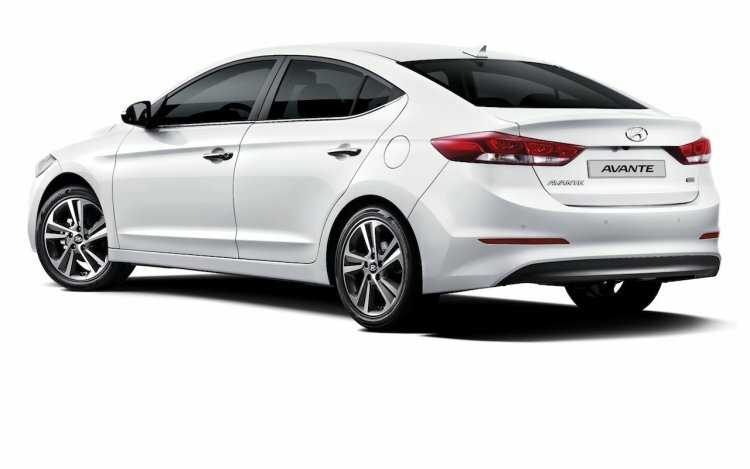 Hyundai plans to sell 50,000 units of the new Elantra this year in Korea. Next year, the brand aims to sell 110,000 units in Korea and 590,000 units overseas. 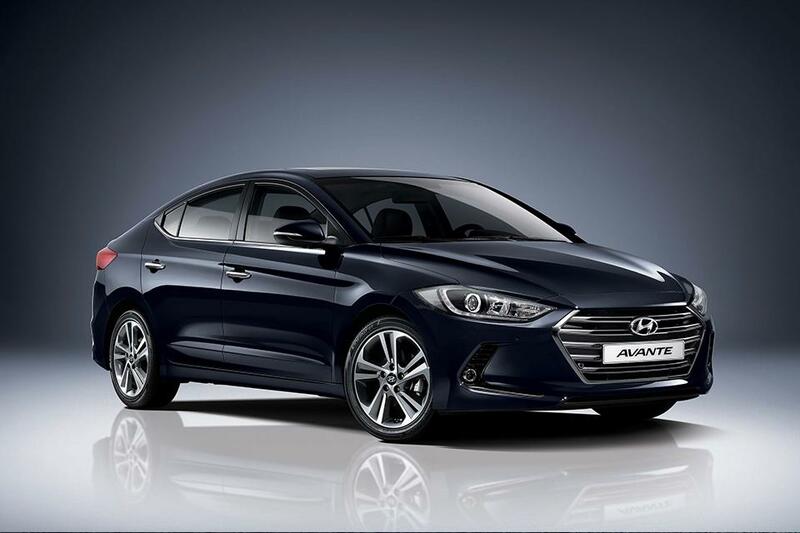 The new Elantra is expected to launch in India towards late-2016 or in early-2017.